The wearable tech market is currently amid something of a boom. From smartwatches to head-mounted gizmos like Oculus, Google Glass and Samsung’s purported Gear VR headset, many major companies are looking for a slice of the pie. 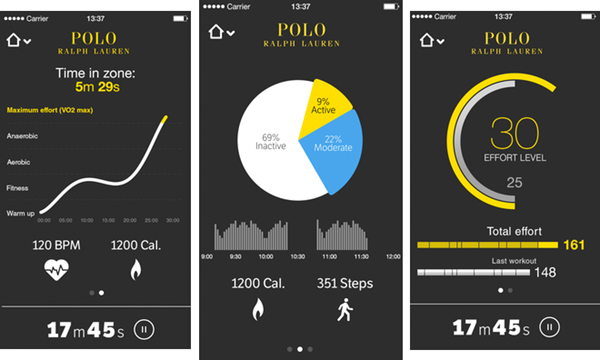 But as Nike has demonstrated countless times with the likes of the FuelBand, you don’t have to be in the field of technology to dabble, and in a move that would seem rather unlikely, the iconic Ralph Lauren brand now has its first smart t-shirt. It includes its very own health-tracking features that sync data harmoniously with iOS, and while the company is famed for its polo shirts primarily, it’s one of a growing list of big names branching out into different fields. So, how does this intriguing technology work? Well, the the t-shirt line was created in a collaborative effort with OMsignal, and is bundled with what Ralph Lauren likes to call “Polo Tech”. 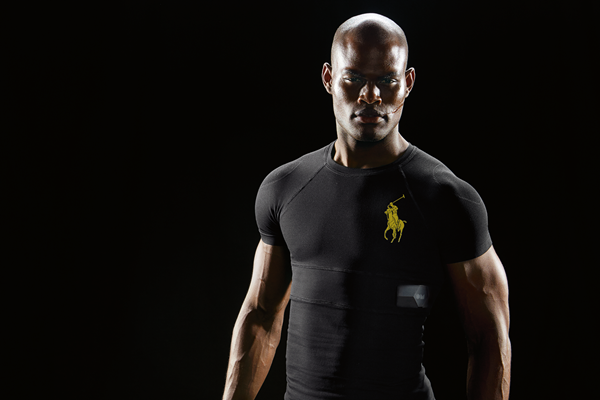 Polo Tech garments are packed with a myriad of sensors capable of tracking heart rate, breathing rate and depth, intensity of activity, steps walked, calories burned, and heart rate info. Said data is then beamed to the accompanying iOS app via Bluetooth LE. Currently testing Polo Tech at the U.S open with the team of ball boys, the sensors within the shirts are woven into the material, and along with the “sleek black” variant, there’s also a “second-skin fit” that the company claims is both more comfortable and less restricting. There’s a small “black box” that must be clipped onto the wearer, which acts as the middleman between device and the t-shirt, but given that it’s water-resistant, should be able to cope with the terrain for the duration of its 30-hour battery life. 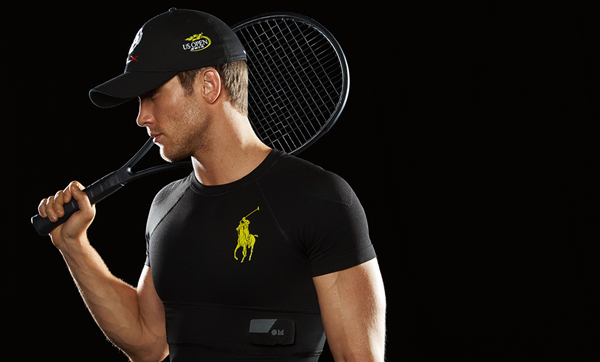 Set to launch next year, Ralph Lauren and OMsignal have big plans for Polo Tech, which both companies see significant potential in both sporting / fitness and general everyday life. Obviously, we’ll have to see the tech in action before making any judgments, but at a glance, it does look very promising indeed. It will surely have real competition from the smartwatch market, many of which will also have an abundance of fitness-related sensors, but given how closely Polo Tech can get to the individual, this is one smart garment we’ll be keeping an eye on.